This chapter provides detailed information on the Administration and Finance Accounting Office. F=Fund. This is the main part of the new string and will account for all Net Asset items such as Cash, Accounts Payable, Fund Balance, etc. It is equivalent to the General Ledger. O=Organization. This part of the string represents the department, college, executive level organization as well as specific funding breakouts. A=Account. The account is the revenue or expenditure code as well as the Net Asset codes for Cash, Accounts Receivable, Fund Balance, etc. P=Program. The program defines how the funds are spent. These categorizations are instruction, research, public service, internal service, auxiliary, etc. A=Activity. This is a special code that will be used to track temporary events at NMSU such as special events concerts. L=Location. This is the building number and room number to be placed on fixed equipment records. Index: The index is a code that groups the FOPAL for ease of data entry and to define the budgetary unit. For all on-line transactions, the campus will enter the Index and an Account. For all transactions, the Fund, Organization, Account and Program values must be entered. An Index value has been assigned to assist in this entry process. For the most part, budgets will be checked at the Fund, Organization and Program level. When requesting new FOAPAL values, it is necessary to determine which part of the FOAPAL does not currently exist in the system. If you have any questions, please call Accounting Financial Reporting and Business Services. NOTE: Throughout the manual, all signatures referred to must be original signatures; facsimile signatures, initials and signing another employee‘s name are not acceptable for internal control purposes. Remote locations have the option to execute a memorandum of Understanding allowing remote offices to submit color scanned financial documents to the Central Office for processing, in which they agree to maintain all original forms and source documents related to Journal Vouchers, Direct Pay, Reimbursement Vouchers, and IDVs at their respective facility. Remote locations that elect to maintain the original documents will only submit color scanned copies to the Las Cruces campus for processing. Agency funds are monies held by an institution acting as custodian or fiscal agent. The monies are deposited with the institution for safekeeping. In general, agency index monies are the property of the organization and can be withdrawn or disbursed at its discretion. Agency funds may be held on behalf of students, faculty, staff, organizations, or some other third party that has a relationship with the University (collectively referred to as “organization”). The organization is solely responsible for the disbursement of monies and compliance with any funding source requirements. There should be no written or implied agreement between donors, contributors, or participants and New Mexico State University. With agency funds, vendors are transacting with the organization and not with the University. As such, purchase requisitions and PCard transactions are not allowed on agency funds. The University has no liability for the expenses and no claim on the surplus, or index balance, unless the remaining surplus has been abandoned. See Abandoned or Unclaimed Agency Balances section below. Accounting and Financial Reporting (AFR) is responsible for creating and maintaining agency funds and indexes, including those created for student organizations recognized by the Associated Students of New Mexico State University (ASNMSU). AFR will interpret this procedure when necessary. University monies cannot be deposited in agency indexes unless approved by the Controller’s Office. To establish an agency fund/index, an organization must submit a completed questionnaire and a new fund number request to AFR. The Questionnaire for Establishing Agency Funds is available on the Administration and Finance website under forms http://af.nmsu.edu/wp-content/uploads/sites/4/2014/01/FIP-Questionnaire-For-Establishing-Agency-Funds.pdf as is the fund number request. AFR will determine if the request meets the definition of an agency. If it is determined that an agency index is appropriate, an index will be set up. 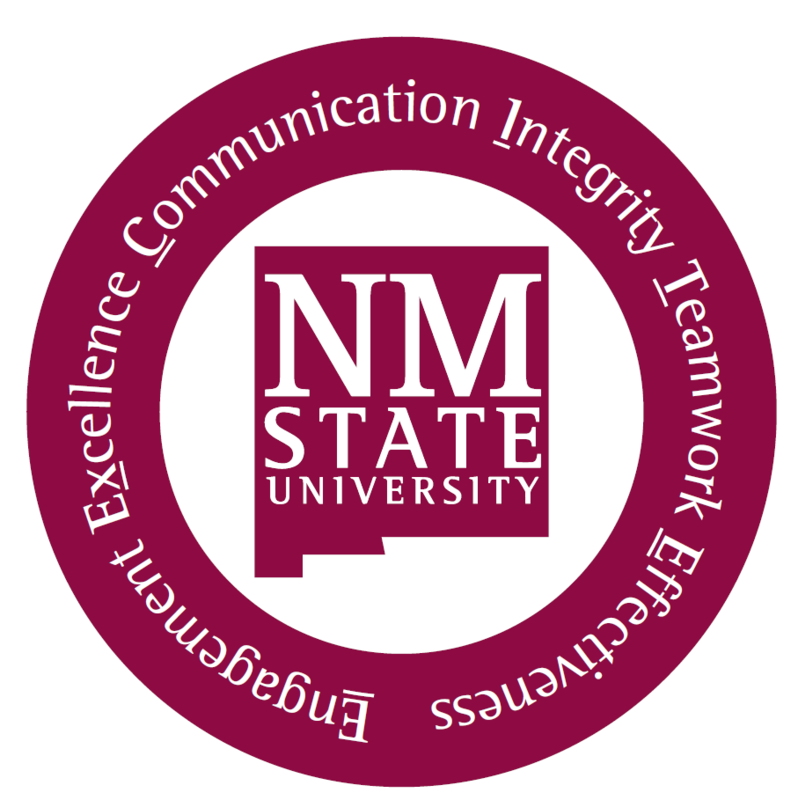 A full time faculty or staff employee of NMSU must be assigned as the authorized person on the index. Once assigned, they will be the contact person, take the role of advisor, and will be responsible for the financial status of the agency fund. They must have the authority to approve the disbursement of monies for the organization, and should the agency account go into deficit, they will be the point of contact in order to resolve the deficit. Direct Pay Requests are to be used for all purchases made on agency indexes, including travel. Vendor billings should be made to the name of the organization and not to New Mexico State University. These billings should be mailed directly to the person responsible for the agency index, rather than Accounts Payable. University expenses cannot be paid from agency indexes. Any purchase made from an agency index that is later transferred by journal entry to a University index will require Procurement Services approval. Reimbursement Vouchers cannot be issued on agency indexes since they are intended for the reimbursement of expenses paid by a University employee for a University purpose. An exception is made for certain student clubs or organizations, to share in the cost of authorized expenditures paid with unrestricted indexes, per ASNMSU policy with advisor approval. Community College Campus student clubs and organizations may do the same, provided a policy exists that indicates how the clubs will share expenditures. Use of personal monies by a University employee for an agency purpose can be reimbursed on a Direct Pay Request. Turnaround time for Direct Pay Requests will be in the same time frame as for University check requests. Agency expenditures must be spent according to University policy. Since monies in the agency index belong to a third party, most expenditures will be allowed. The fiscal monitor is responsible for determining that a sufficient cash balance exists and that the Direct Pay Request has the authorized signatures. Agency indexes can be charged by Interdepartmental Voucher (IDV) when goods and services are purchased from campus departments. If insufficient monies exist in an agency index when an IDV is presented for fiscal monitor’s approval, the IDV will be returned to the department originating the IDV. It will be the department’s responsibility to collect for amounts owed by an organization. In the instance where an electronic feed is charged to the agency index resulting in a deficit, the advisor will be responsible for resolving the deficit. The University Accounts Receivable (UAR) Office cannot send invoices to donors, contributors or participants on behalf of an organization holding an agency index. University Petty Cash Funds cannot be established by agency indexes. Cash can be withdrawn by completing a Cash Withdrawal form and presenting the form to the Cashier’s Office located in the Educational Services Building. The advisor, the individual receiving the funds, and fiscal monitor signatures are required before monies are disbursed. Purchase Orders (POs) are not issued for agency indexes. The issuance of a PO number implies a University legal commitment to purchase. Payroll expenditures cannot be charged to agency indexes through the University Payroll System, nor can payroll expenditures be transferred into agency indexes from a University index. A University employee acting as a private contractor to an organization, however, may be compensated by Direct Pay Request for services rendered to the organization. The University’s tax-exempt status does not apply to agency index purchases. The University does not assume the responsibility for complying with tax laws on behalf of the organization, such as submission of Federal tax form 1099 or the remittance of New Mexico Gross Receipts tax; this is the responsibility of the organization. When a University faculty or staff member is acting as a facilitator for an established organization external to the University, and when the conference is funded entirely from registration fees, with no University contribution. Employee funds are employee-originated funding, which is to be used by and at the employees’ discretion. Fund raising activities by and for student organizations are permissible, but such organizations must submit an activity approval form to the Activities Office of Corbett Center before initiating a club fundraiser. However, agency indexes cannot be used to record University fund raising activities. University receipts cannot be issued to donors, contributors, or participants of fundraising activities. The plant Indexes (FOPALs) group is used to account for unexpended plant monies to acquire long-lived assets for institutional purposes; monies set aside for the renewal and replacement of institutional properties; monies set aside for debt service charges and retirement of indebtedness on institutional plant; and the cost (or fair value at time of donation) of long-lived assets (other than those of endowment and similar monies) and the sources from which the cost is funded, including associated liabilities. Four self-balancing subgroups are provided for in the plant monies group; unexpended plant funds, funds for renewals and replacements, funds for retirement of indebtedness, and investment in plant2. Any construction, improvement, renovation, repair, or wiring project with a cost greater than $10,000, or the acquisition of land, will be recorded in a plant Index (FOPAL). If a project does not meet the requirements for capitalization and the total project cost is $10,000 or less, the costs can be charged to a current fund Index (FOPAL) and organization. Capitalized projects must be reported in the plant Index (FOPAL). A project requiring the establishment of a plant Index (FOPAL) will be funded by a transfer of monies from an Index (FOPAL) authorized by the department requesting the project services to a new plant Index (FOPAL). Any unspent monies will be returned to the departmental Index (FOPAL) from which the transfer was made. The Vice President for Administration and Finance is responsible for determining which departmental proposed projects will be submitted for approval by the Board of Regents for the use of Building Renewal and Replacement monies appropriated by the State. AFR will work with the Office of Facilities and Services, Physical Science Laboratory, or Internal Service Units, all of which generally provide construction, renovation, and repair services, to determine if a project should be capitalized. Costs for any project that meets the requirements for capitalization will be charged to accounts 782xxx or 783xxx. NOTE: If a project does not meet the requirements for capitalization, account codes 744xxx, 754xxx, 7558xx or 76xxxx should be used. Any buildings, structures, or other fixed assets that have been demolished, abandoned, destroyed or damaged by flood, fire, weather or theft should be reported to the Director of CPO, Risk Management. In the case of theft, a police report should also be obtained. Any tagged equipment should be reported to the Physical Property Office in accordance with the Central Purchasing Office (See BPM, Chapter 4 – Central Purchasing Office). Capital assets should be depreciated over their estimated useful lives unless they are inexhaustible. The straight-line depreciation method (historical cost divided by useful life) will be used by NMSU. Accumulated depreciation will be summarized and posted to the accounting general ledger each year end. Refer to the NMSU Administration and Finance Capital Asset Guide (https://af.nmsu.edu/policy-procedures/) for more detailed asset type and threshold information. Sales or exchanges of land must be reported to AFR and the Director of Real Estate, Office of Facilities and Services. Current unrestricted Indexes (FOPALs) are resources received by an institution that have no limitations or stipulations placed on them by external agencies or donors, and that have not been set aside for loan, endowment, annuity or life income, or plant purposes. Current unrestricted Indexes (FOPALs) include current resources that have internal designations placed by governing boards or institutional management. Any unrestricted resources designated for non-current purposes (loan, endowment, annuity or life income, or plant) should be transferred to those other Index (FOPAL) groups as either mandatory or non-mandatory transfers, depending on the circumstances. All Unrestricted Indexes (FOPALs) are monitored by the AFR department. There are four primary types of Unrestricted Indexes (FOPALs). Appropriations are broad-based Governmental allocations that generally address a large area of funding, rather than a specific task or project. Appropriations are most commonly broken into smaller, internally-designated budgets for managerial purposes, and may be either unrestricted or restricted in nature, depending on whether they are made available to the entire University or to specific areas within the University. With certain exceptions, restricted Federal and county appropriations will be treated like grants and contracts. Unrestricted sources of monies that do not fit into one of the above categories should be discussed with the Controller’s Office regarding proper classification. The following subsections refer to areas where special treatment of unrestricted monies may be required due to the restrictions under which the University accepts those monies. A copy of the FBM091 where the original transaction occurred. NOTE: if the transfer also affects a restricted Index (FOPAL), a copy of the requisition is requested along with the FBM091 so that the start or end date can be verified with the date the goods/services were received and the description of the goods or services can be verified against the restrictions on the Index (FOPAL). Approval of the Department Head and Dean or Director (the same approvals as needed on requisitions). It is the responsibility of the individual requesting an expenditure transfer to verify that the transfer has been properly posted. Prior year corrections will only be processed for material amounts, as a general rule. Research centers/departments should contact their fiscal monitor regarding all prior year corrections. To allow purchase requisition processing, unrestricted Indexes (FOPALs) will require a budget in support of the anticipated expenditures. On continuing Instruction and General Indexes (FOPALs), budgets are entered by the Budget Office annually. New Instruction and General Indexes (FOPALs) requests should be submitted to AFR. For continuing Indexes (FOPALs) that are not funded by Instruction and General Monies, departments must send requests to the Budget Office to roll forward budgets equal to unspent monies at year end. New Index (FOPAL) requests should include an estimate of anticipated revenue and expense when submitted to the fiscal monitor in the AFR Office. Each organizational unit will have two unrestricted Indexes (FOPALs) established: one for cost overruns and one for pending grants/contracts if needed. Only those grants/contracts with required direct cost sharing will have individual cost-sharing Indexes (FOPALs). Any deficit balances in cost overrun and pending grants/contracts Indexes (FOPALs) must be covered from unrestricted sources prior to the end of each fiscal year. A transfer of unrestricted monies to the cost overrun Index (FOPAL) from within the organizational unit may be needed. The dean or director is responsible for identifying the source of monies to cover cost overruns at the time of the overrun. The fiscal monitor will be responsible for necessary transfers of cost overruns and unapproved or pending expenses between unrestricted and restricted Indexes (FOPALs). If the Indexes (FOPALs) to which an employee’s pay has been charged must be corrected after-the-fact, a Human Resources (HR) Labor Redistribution form (LRF) should be processed within 90 days of the pay date. This period should allow time for review of Indexes (FOPALs) and prepare for certification of the employee’s level of effort, on an Effort Report. Index (FOPAL) Changes More Than 90 Days from Pay Date – Index (FOPAL) change transactions more than 90 days from the pay date will be reviewed by the responsible Fiscal Monitor to determine if there is an external contractual reason why the Index (FOPAL) change must be processed. If approved, the Index (FOPAL) change will be processed by Journal Voucher using account code 769600 to correctly reflect the overrun in FR. No other Index (FOPAL) change transactions greater than 90 days old can be processed because of prior certification on the Effort Report of the employee’s funding source and level of effort, which occurs on a semi-annual basis. NOTE: Please be aware that if an employee’s salary has not been charged to a restricted sponsored project Index (FOPAL) within 90 days of the date of pay, the University will be unable to bill the sponsoring agency for the expense, either as a direct cost or through the Facilities and Administration Rate. Payroll expense transfers are very difficult to justify to auditors and sponsors; the principal investigator (PI) and/or department head should keep all Index (FOPAL) labor distributions current with work assignments. Unrestricted Indexes (FOPALs) should be spent in accordance with University Policies and Procedures. State Appropriated Indexes (FOPALs) are restricted to instruction and general expenses. Unrestricted sources for Internal Service Indexes (FOPALs) should be spent in accordance with the purpose of the internal service being performed. Unrestricted Indirect Cost Recovery (Overhead) Indexes (FOPALs) should normally be limited to research or public service type of expenditures. University policy requires that the department head and dean or director responsible for any given Index (FOPAL) approve all Purchase Requisitions, Direct Pay Requests, and Reimbursement Vouchers charging that Index (FOPAL) number. This authority may be delegated to other individuals reporting directly to the department head and the dean or director, respectively, with the approval of the superior of the employee electing to delegate signature authority to subordinates. These policies relate to official University documents. In general, indirect costs are identified as those costs that are incurred for common or joint objectives and therefore cannot be identified readily and specifically with a particular sponsored project, an instructional activity or any other institutional activity. These costs are accounted for in the unrestricted Index (FOPAL). In order to record an additional grant/contract expense as direct costs are charged to grant and contract Indexes (FOPALs), an entry in account code 798100, which represents the portion of indirect costs allocable to those direct costs, is either calculated automatically by the accounting system or computed manually by Sponsored Projects Accounting (SPA). All expenses charged to this code as indirect costs must be supportable within the grant or contract and billable to the external sponsor. NMSU separately recognizes income as a part of this transaction. A portion of the indirect costs recovered through this charging mechanism are returned to the unit generating the direct costs as unrestricted income, to be used in support of the unit’s research or public service function. The remainder of the indirect cost recovery is retained centrally within the University to help defray the costs associated with the central functions. The Federal Government requires the University to certify that no unallowable costs have been included in the calculation of the Facilities and Administrative (F&A) rate. The guidelines in this section should be used in determining whether or not the expense is allowable. Questions regarding the allowability of specific expenses should be forwarded to AFR. There are many expenses in these categories allowable from other University Indexes (FOPALs), but not allowable components of our indirect cost pool. Special accounts have been established for recording these expenses, and should be used throughout the year for this purpose. In general, these accounts end in 990.Contact the appropriate fiscal monitor regarding the use of these accounts. The Federal unallowable costs, which are still University allowable expenditures, should be assigned an account that ends in 990. For example, Federally Excluded Professional Services would have an account of 761990. For further details or clarification on any of these items, please refer to OMB Circular A-21 or contact your fiscal monitor. Please keep in mind that these guidelines are only to be used in determining whether or not the indirect costs are allowable. Direct cost items on grants or contracts may be treated differently. Some costs, which would not be allowed in indirect costs, may be allowable direct cost items if specifically allowed by the grant or contract. It is important to remember that even if a particular cost would normally be allowed, it must still be reasonable and conform to the established practices of the University. The fifteen items listed are not meant to be all-inclusive. There are many other unallowable costs such as student aid, foreign travel, Regent’s travel and subsistence that will be removed from the F&A rate, in total, by AFR. The items listed are those that require screening at the departmental level. Any questions should be directed to AFR. The University has several internal service center units that charge specific rates for their services to other units on campus. The Internal Service Center Procedure, which defines an internal service center and outlines procedures governing the rate development, is to be referred to when making these decisions. (Appendix 1A-B) All charges are processed on an Interdepartmental Special Charges form. Special form for Catering Services will be used for all changes from the University food service contractors. Departments that hold inventory for resale will be responsible for submitting a 100-percent physical inventory count on June 30th of each fiscal year. Before the end of the current fiscal year, AFR sends a letter to departments requesting this listing and any information regarding changes in the departments’ policies and procedures regarding inventory. AFR is responsible for evaluating and adjusting balances of physical inventories held by departments. Test counts may be conducted as considered necessary. Upon receipt of the list of physical inventory, AFR will do trend analysis to evaluate changes. AFR will then prepare any necessary journal entries to adjust the balance of the inventory in order for the correct amount to be stated before the books are closed for the current year-end.